I did not expect, when I first started this post, how hard it was going to be to define classic. If I included all the classic children’s books I loved, it would be a hundred items long. And do I include such mystery classics as Agatha Christie’s And Then There Were None? Or Terry Brooks’ Sword of Shannara, which is such a classic of fantasy that the entire genre as we know it wouldn’t be the same without it? In the end, I stuck with a more traditional definition of classic, and tried to keep it to “adult” classics, not because I consider them “better,” (quite the opposite, in some cases), but because I just needed some framework for my choices. I did bend a little with my last one – it’s a classic of fantasy and a children’s classic, but I make no apologies. In my opinion, it’s a classic classic. There are also lots of pictures in this post from film/TV adaptations of said classics. I make no apologies for them, either. Especially the Richard Armitage one. As always, check out The Broke and Bookish for more top ten lists. And without further ado, I give you my Top Ten Favorite Classic Books. 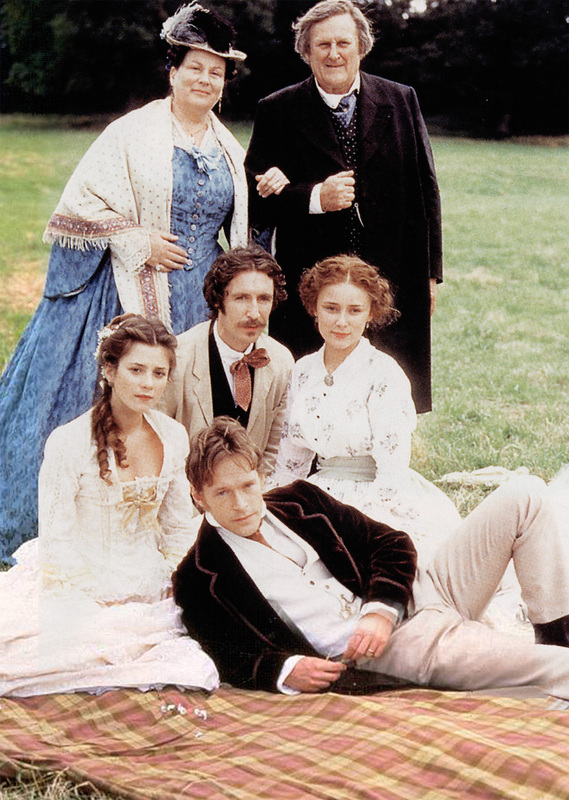 Wives and Daughters, Elizabeth Gaskell. I adore this book. I adore the characters, the relationships (not just the romantic ones), the simplicity that balances so well with the complexity of it, the way that unlike many (most) classic novels, you can’t necessarily predict how it’s all going to turn out in the end. It truly is what its subtitle claims: An Everyday Story, and I just love it for that. Anne of Green Gables, LM Montgomery. I grew up with Anne smacking her slate over Gilbert’s head, with her dramatics and her passions, with her friendships and loves and hatreds, and while at times now I shake my head at the ridiculousness of everyone who meets her falling under her spell as she gets older, I do still love her. Not to mention Gilbert. North and South, Elizabeth Gaskell. A book that made me think, and swoon, and think some more. It doesn’t hurt that Richard Armitage plays Mr Thornton in the BBC adaptation. I’ll leave Darcy for all the P&P fans; Mr Thornton for me, please. Our Mutual Friend, Charles Dickens. I watched the adaptation of this before I ever read the book – and I have no regrets. I love the book, and I don’t think I would have been able to appreciate it as much if I had just tackled it without already having some of the richness of color and character and setting imparted to me by the adaptation. Ivanhoe, Sir Walter Scott. I read this when I was a kid – I don’t know if I would love it now upon re-reading. But oh, I adored it then. The chivalry, the pageantry, the disguises, Robin Hood and King Richard, the wicked Knights Templar, beautiful Rebecca and Rowena … I ate it all up. My fondness for Edward Eager’s Knight’s Castle might just possibly have contributed to my love. Ivanhoe in a flying saucer. Who wouldn’t love that? Jane Eyre, Charlotte Bronte. Jane is yet another heroine I met first through film (the Timothy Dalton and Zelah Clarke version, and I have yet to see more fitting portrayals of Rochester and Jane), and then grew to love more deeply through the book. I love her quiet strength, and her joyous passion. Rochester’s a jerk, but since Jane triumphs over his jerk-ness, I can forgive him. Persuasion, Jane Austen. I like P&P, but it’s Persuasion that I return to almost every autumn, re-reading with pleasure, identifying with and enjoying Anne a little bit more each year. It’s such a quiet book, with hidden strength, rather like its heroine, and it is just sheer enjoyment to read. The Psmith Books, PG Wodehouse. I confess: I can only read so much of Wooster and Jeeves before I start desperately wanting for Bertie to, just once, get the best of absolutely everyone else, including and especially Jeeves (I also have always wanted Wile E. Coyote to catch Road Runner at least once). I have no such difficulties with Psmith and faithful-but-exasperated Mike. Their adventures and misadventures are just sheer fun. The Second Violin, Grace S Richmond. I don’t know if technically this one counts as a classic. Is it a classic if it’s old, but nobody has ever heard of it? Richmond’s books are romances, often moralistic, and while I can recognize their quality is not necessarily as great as one might like, I also enjoy reading them when I just want some harmless fluff. It helps that I have an antique copy of The Second Violin with a note to me from my grandfather on the frontspiece, one of the first presents he gave me after my grandmother’s Alzheimer’s had developed to the point where he had to do all the birthday and Christmas presents and hang on, BRB, need a tissue now. The Hobbit, JRR Tolkien. Technically a children’s book, but like Anne of Green Gables, so so much more than that. 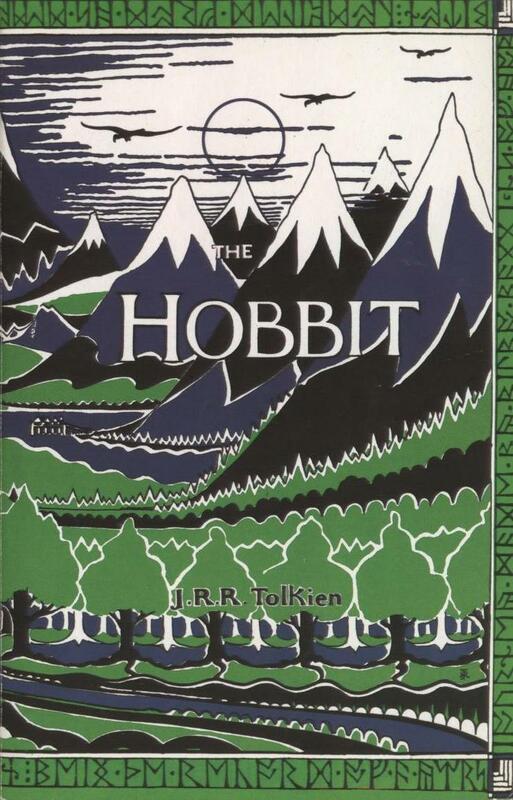 I have distinct memories of the first time I read The Hobbit, something rare for me, as most of my first reads are blurred by time. Not this, though … I remember running my finger along the books on the library shelf, looking for something new, wanting to find a book I had never seen before, pausing at the title and pulling it out. The green and blue cover, with mountains and forests and strange runes along the edge intrigued me, and I carried it over to the beanbags in the corner of the children’s room, settled down, and opened the first page. 1. Betsy-Tacy et al, Maud Hart Lovelace. I know I rave about these books a lot. But I love them, and they don’t get half the recognition they deserve. The friendship between Betsy, Tacy, and Tib (and various others who dance into and never out of their lives) is a beautiful thing, and my Joy has been searching for a best friend to be a Betsy to her Tacy ever since we first read the first book. 2. Chronicles of Prydain, Lloyd Alexander. Another series that doesn’t get half the recognition it deserves, and that I love dearly. The Chronicles are about many things, but among them is friendship. The final scene in The High King (not giving any spoilers in case you haven’t read it!) makes me choke up every time. 3. The Year of Secret Assignments, Jaclyn Moriarty. This book was recommended heavily to me on Twitter, and so I picked it up from the library even though contemporary YA isn’t usually my thing. And I’m so glad I trusted the recommendees’ judgements, because it was such a beautiful portrayal of modern day friendships, and the pitfalls and joys therein. 4. Anne of Green Gables, Anne of the Island, Rainbow Valley, LM Montgomery. All of the Anne books have friendship woven through them, but it’s a much bigger theme in these three. The friendships Anne forges with Diana and the other Avonlea girls, and with Matthew, Marilla, and even Mrs Lynde, are such an integral part of AoGG. I personally think the bits of AotI between Anne, Priscilla, Stella, and especially Phil, are the best (well, maybe except the end, between Anne of Gilbert!). And Rainbow Valley, featuring the friendship between the manse children, the Blythe youngsters, and Mary Vance, is a sweet tale of childhood. 5. The Horse and his Boy, CS Lewis. Not necessarily about friendship, per se, but it is a strong thread woven throughout the story. The friendships between Shasta and Bree, Hwin and Aravis, Aravis and Shasta, Hwin and Bree, and Shasta and Corin are all fabulous, and I like the portrayal of friendship between kingdoms, too, with Narnia and Archenland being so close-knit. 6. The Grey King & Silver on the Tree, Susan Cooper. The friendship between Will and Bran in these books is meant to reflect the friendship between Merlin and Arthur, and without those strong bonds, the Old Ones would have fallen and the Dark would have risen forever. And in the end, it is only friendship that saves Bran, and saves the world. 7. Our Mutual Friend, Charles Dickens. OK, I did put this one in mostly as a joke. But seriously, I do enjoy this book, and it does revolve around one central characters who connects all the others (the titular “mutual friend”), so it isn’t that far out there. 8. Sorcery & Cecilia, Patricia C Wrede and Caroline Stevermer. Yet another book on my list that isn’t technically about friendship, yet would be nothing without the relationship between Kate and Cecy, and between Thomas and James. 9. Heroes of Olympus series, Rick Riordan. If these books aren’t about friendship, then I don’t know what is. That’s all. 10. Breadcrumbs, The Real Boy, Anne Ursu. I first read Breadcrumbs last year, and I read The Real Boy in one fell swoop last night, and oh, they are so good, and the friendships so poignant and truthful, full of the perils of everyday friendships as well as the ways they are our salvation. Read them! They’re good. There you have it, my Top Ten. Check out more lists at the Broke and the Bookish.